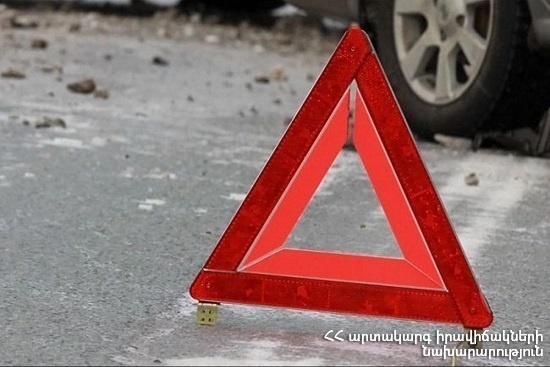 On April 14, at 12:04 an emergency call was received to “911” service that a car accident had occurred at the crossroads of Davit Anhaght and Karapet Ulnetsi streets, Yerevan: there were no casualties, the rescuers’ help was needed. It turned out that “BMW 320i” car had run off the roadway and crashed into an electric pole. As a result of the collision the pole had turned and appeared under the engine part of the car. The rescuers removed the car from the electric pole.